MusicZen truncating the file name or does not read certain tags. MusicZen is truncating the file name or does not read certain tags. If you notice that MusicZen is truncating your files or they are missing a letter in the file or folder name after you have run MusicZen, or that some file tags are not being recognized even after you have verified the mp3 file shows the tag when you look at the file properties, this may be caused by a bad file or corruption in the encoding of the file. This problem may occur on files that were created with an older or buggy mp3 encoder. The mp3 metadata may be bad, invalid, or simply corrupted. Also, these files may have invalid symbols or characters within the tag that are removed by MusicZen or otherwise not recognized. 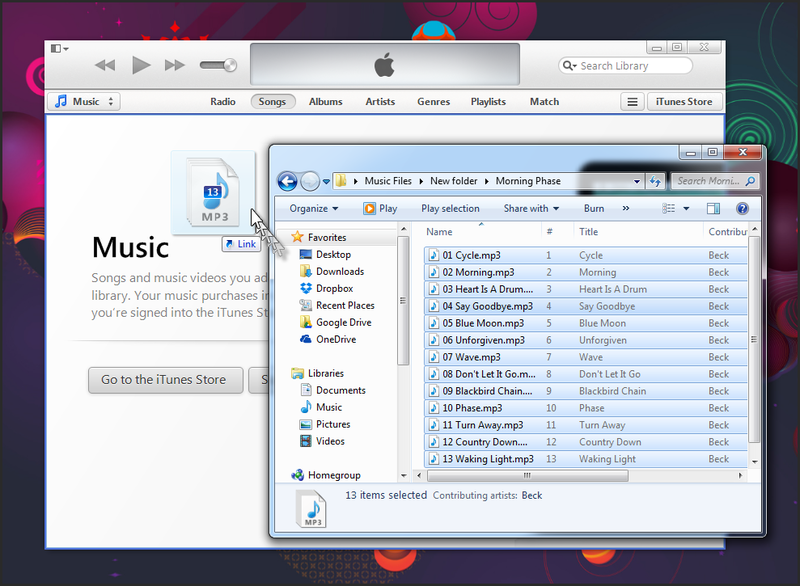 In order to organize these files with MusicZen, you will need to do the following. NOTE: You only have to do this once to have your files metadata repaired. 2. Load your files by dragging them to iTunes while it is open. 3. Select all your affected files (hold down Shift + Click to select a range). Right-click and select ‘Convert ID3 Tags’. 4. Check the ‘ID3 tag version’ checkbox and select ‘v2.2’ to change the tag version to 2.2. 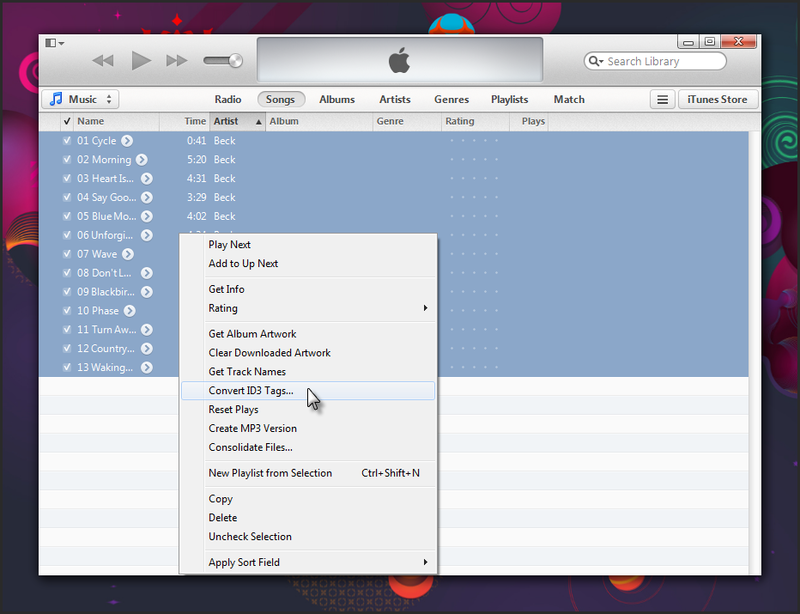 Click ‘OK’ and you will notice the tags populate in iTunes as shown below. 5. 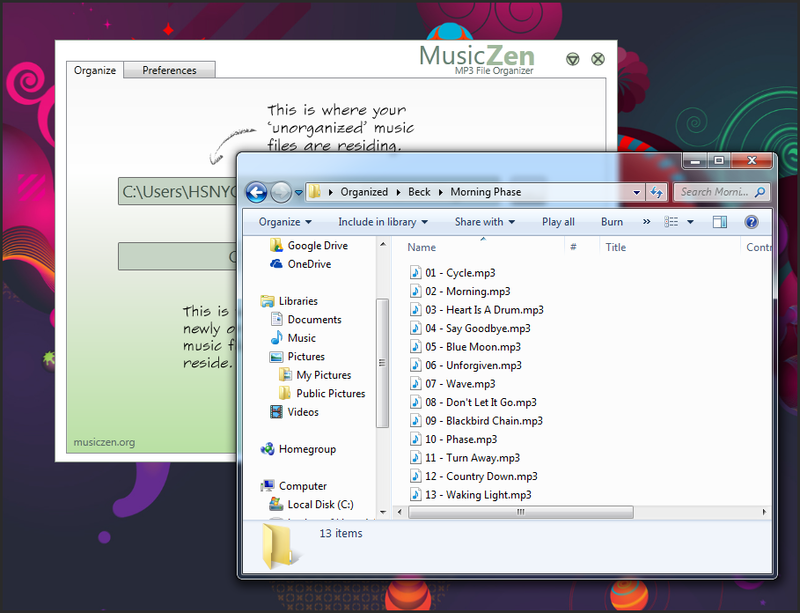 You can now use MusicZen to move or copy your mp3 files to other directories. You may change the tag version back to 2.3 or to 2.4 if you wish. 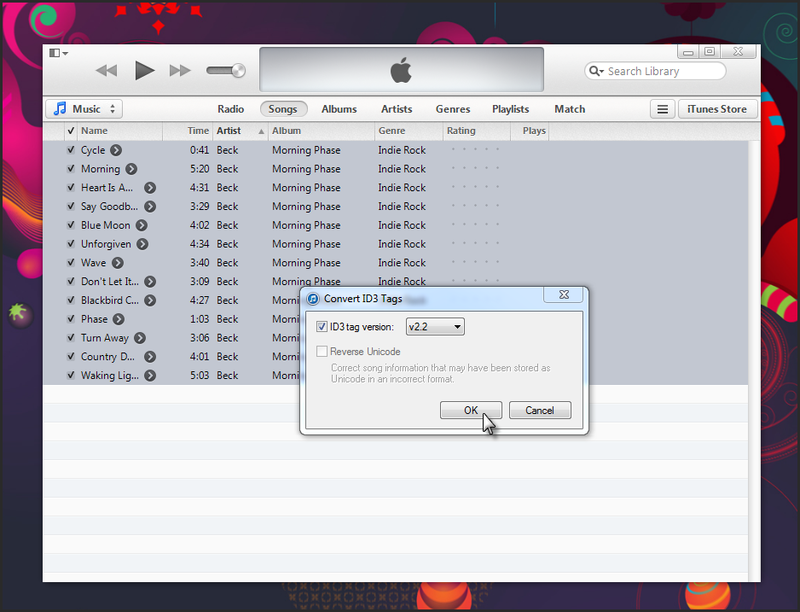 Since iTunes has fixed the tag info in the mp3 file, MusicZen will now recognise the new version of the tag. I hope this helps you get your files to where you want them to be. Thank you for visiting and supporting MusicZen.